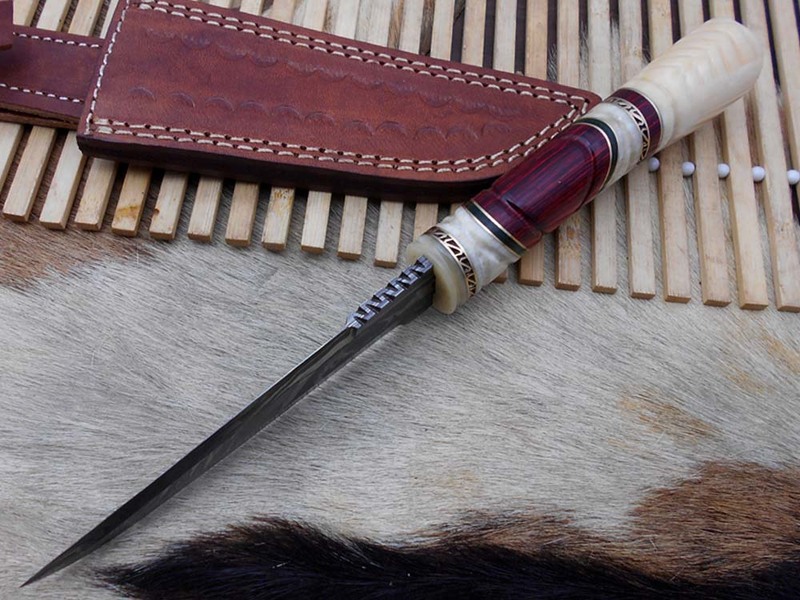 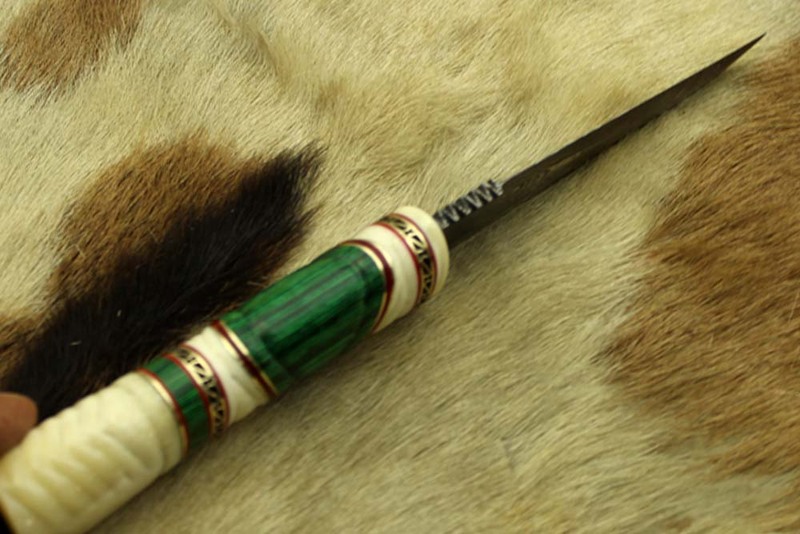 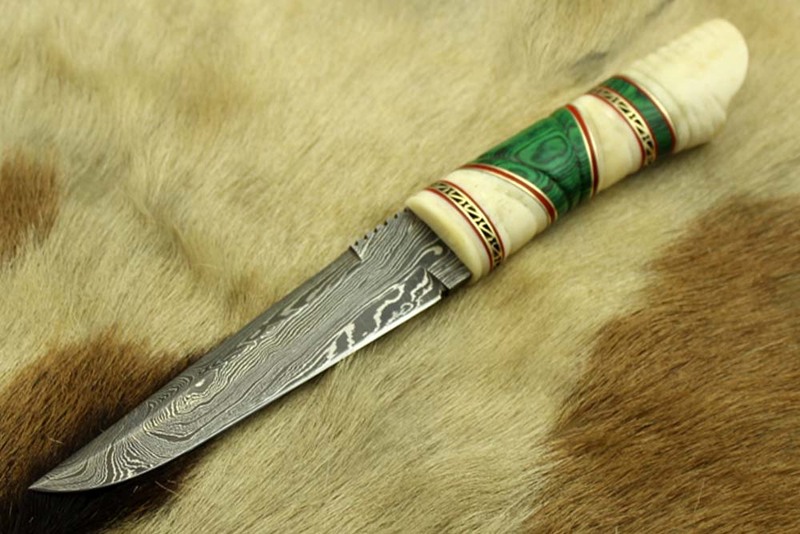 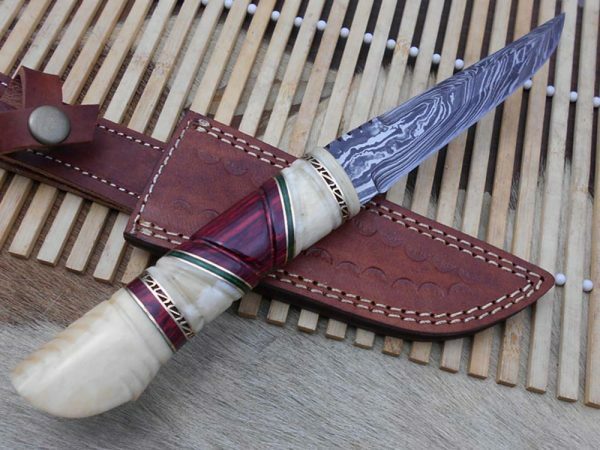 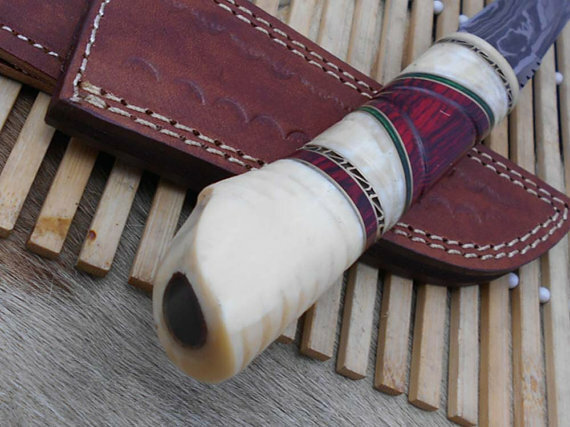 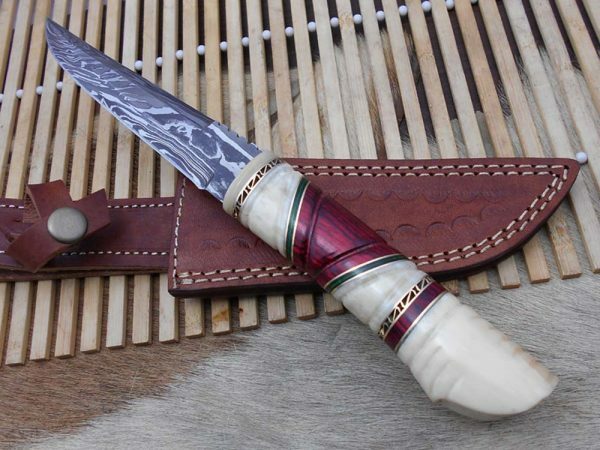 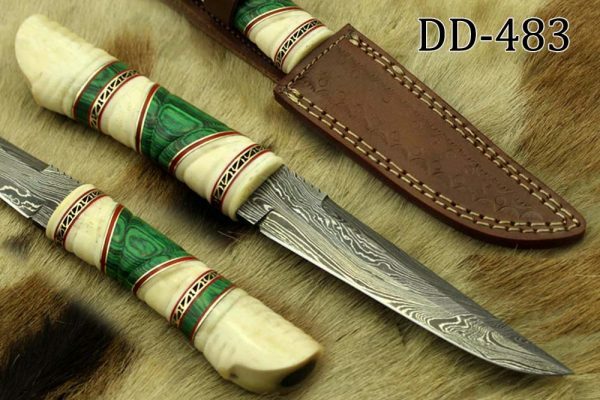 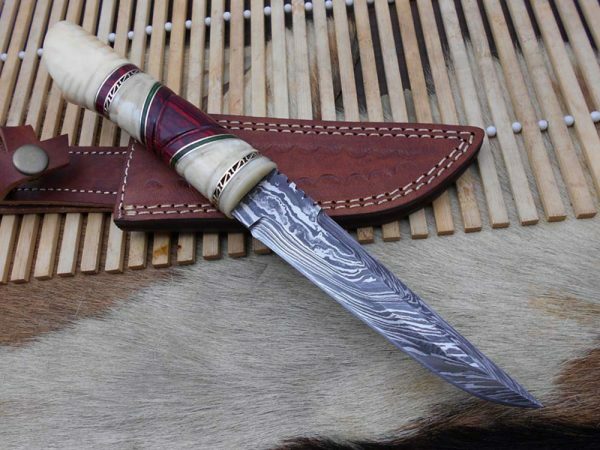 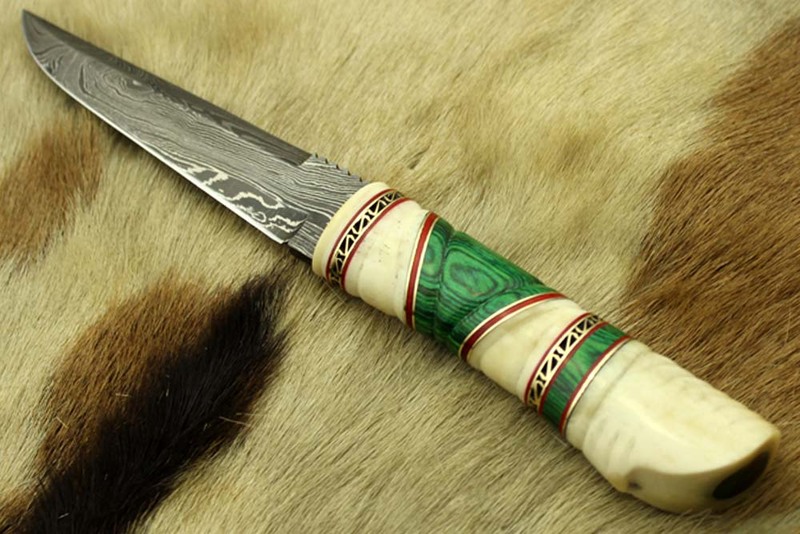 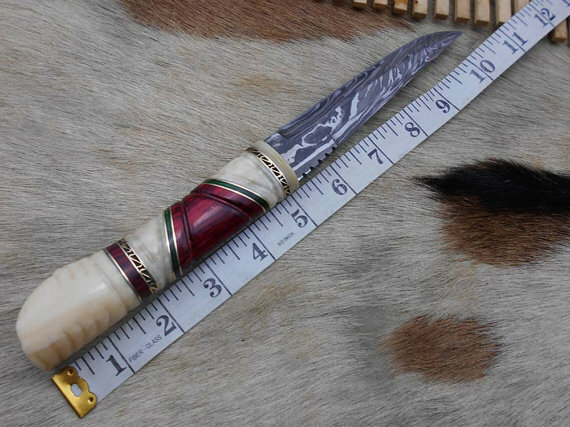 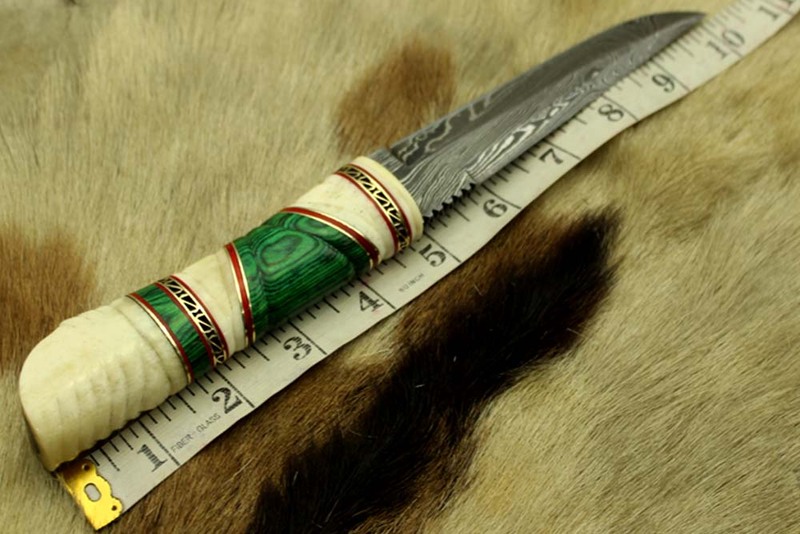 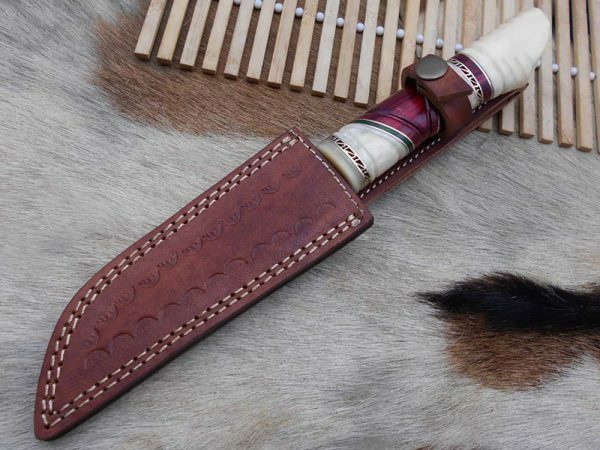 10.5″ Long Damascus steel hunting Knife hand forged, hand crafted exotic round scale scale with camel bone brass & fiber, Cow Leather sheath – Damacus Depot, Inc.
Blade has been given an excellent heat treatment to get it well hardened Hardness 56 to 58 HRC. 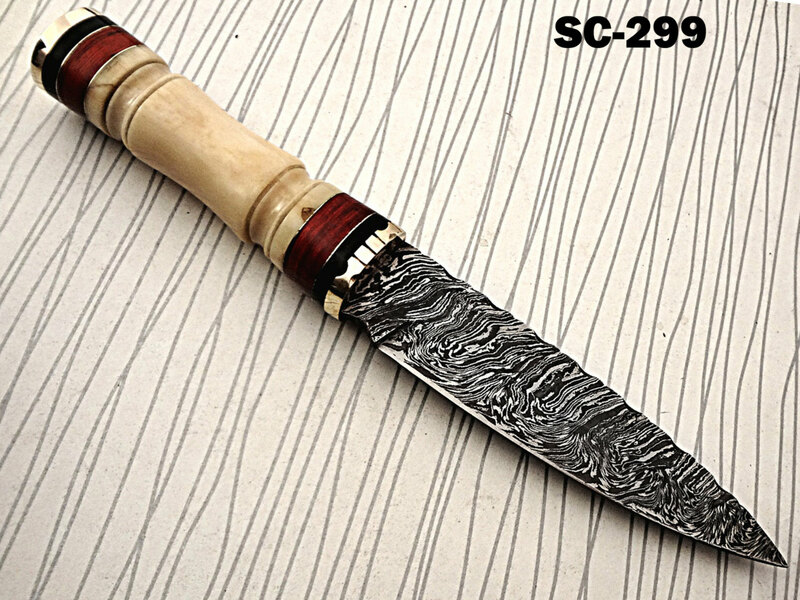 Damascus steel as well as 1095 high carbon steel knives are different than some other common steel knives,because of its high carbon content they can be rusted if not care properly. 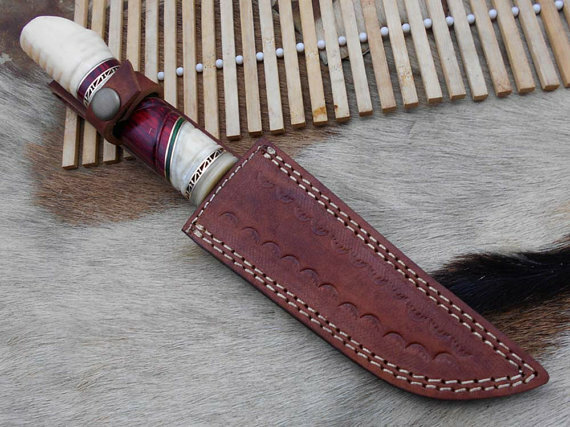 If you have seen rust accidently then use WD40 to remove it Never store your knife for long time in leather sheath. 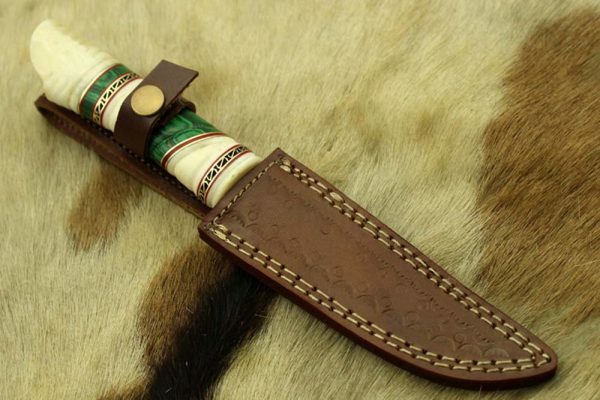 Leather can absorb water which will rust the knife. 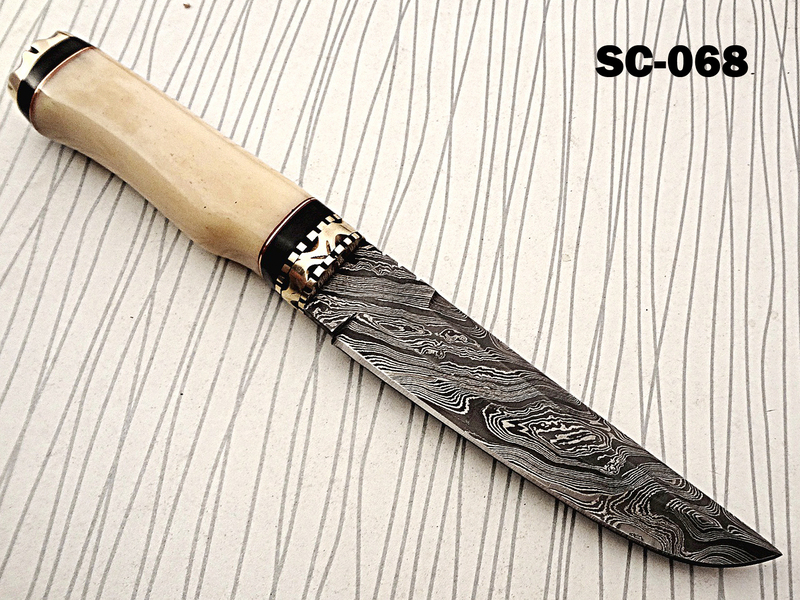 Always clean the blade after using and apply oil or wax (please use cooking oil on Chef Knife) before you store it, for its longer life and durability.